How Much Tax Do You Get Back for Every Deduction? Deductions reduce your taxable income. 1. How Much of Federal Withholding Do I Get Back? 2. How Much of a Tax Deduction Do You Get Back on Home Loan Interest? If you're eligible for more tax deductions and claim them, you'll almost certainly pay less in federal income tax. But exactly how much each of these tax write offs actually saves you depends on your tax bracket, or marginal tax rate, meaning the amount you pay in tax on each additional dollar of income. A tax deduction reduces taxable income, not total tax, so the amount each deduction saves you depends on your tax rate. By contrast, a tax credit reduces the amount of tax you owe on a dollar for dollar basis. Tax deductions reduce the amount of your income that is considered tax deductible. Tax credits directly reduce the amount of tax you pay to the Internal Revenue Service, regardless of your tax rate. The U.S. federal tax system is what's called a progressive tax system, meaning that the more money you make, the higher your tax rate. It's divided into so-called tax brackets, where people making above particular levels pay particular amounts on each additional dollar of income. The highest tax bracket is currently 37 percent, on levels of income above $500,000. If you do make more than $500,000, you'll actually pay less than 37 percent of your income on tax even without deductions, because that rate only applies to income in excess of the $500,000 cutoff. Income up to this point is taxed at lower rates. Tax brackets change over time as Congress adjusts tax law, but the general principles of how they work generally stay the same. 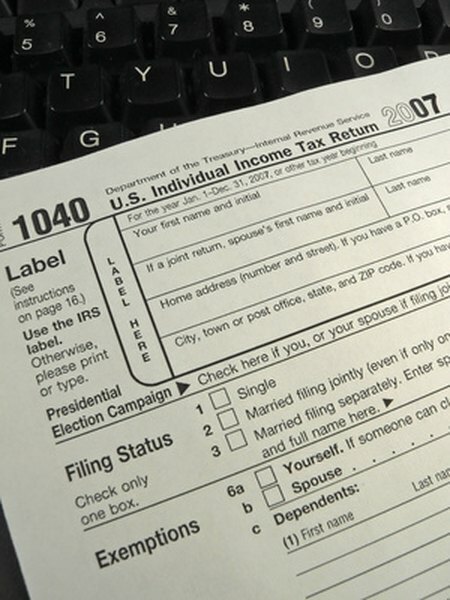 There are a variety of deductions available to taxpayers. Some require you to claim itemized deductions rather than the standard deduction, so these are generally only worthwhile if doing so will in total save you more than the standard deduction. These include deductions for medical expenses in excess of 7.5 percent of your adjusted gross income, deductions for state and local taxes, business expenses for self-employed people and charitable donations. You can also deduct interest in mortgages and student loans and take a deduction for contributions to individual retirement arrangements, or IRAs. Various common tax credits include the Earned Income Tax Credit for low-income tax payers, the child and dependent care tax credit and various credits related to energy conservation. Consult IRS publications, your tax prep software or a human tax preparer for advice on what tax deductions and tax credits you're eligible for. If you run your own business, you can deduct numerous types of business expenses. These include office supplies, payments for your own health insurance as a self-employed person, transportation costs and more. These deductions count against your business income, and you don't have to itemize your deductions to claim them. As of 2018, thanks to tax law changes, most business expenses for people who are not self-employed are no longer deductible. Consult IRS rules to see exactly what you can deduct and what rules govern how you do so. Tax rates are generally decreasing for most taxpayers as of 2018. Not only is the maximum tax bracket and the tax rate for several other brackets lower but the income cutoff for most brackets is increasing, meaning you'll likely owe lower rates on your income overall. The standard deduction is also increasing, meaning many taxpayers will either have less incentive to itemize their deductions or will simply save more thanks to the new deduction level. Some deductions, such as those for employed people taking business expenses, are being eliminated. Tax rates are generally higher in 2017 than in later years. In addition, the standard deduction is lower, giving more people an incentive to itemize deductions. How Much Difference Does an Additional Allowance Make on the Federal Withholding Amount? Can I Claim Business Expenses for a Business With No Taxable Income? Are IRA Losses Tax Deductible? Do Pre-Tax Deductions Count as Medicare Wages?